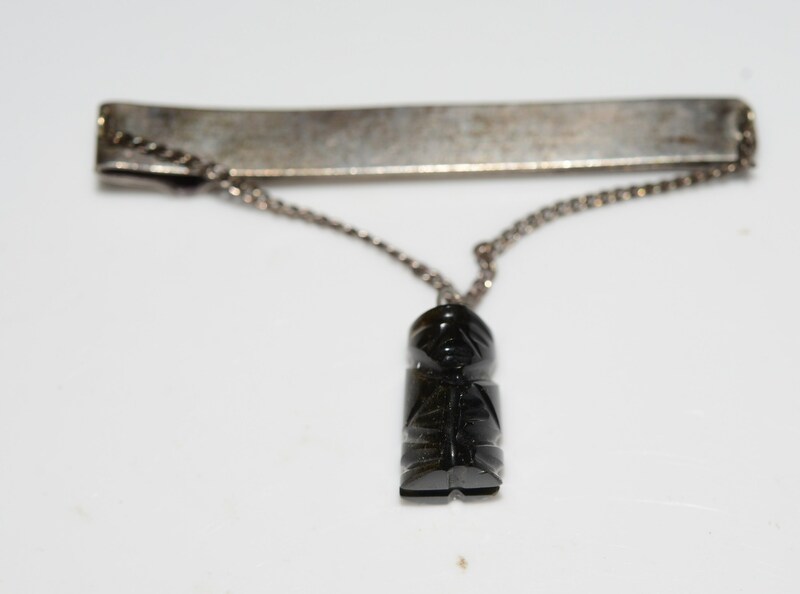 This vintage taxco mexico sterling silver tie clasp features a carved stone mayan statue I believe. 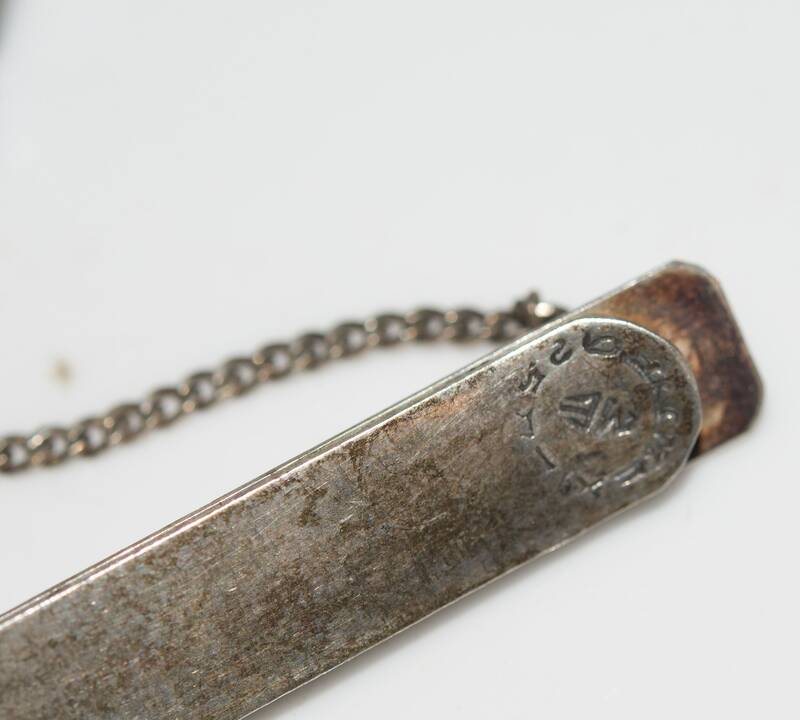 The back is marked with Taxco Sterling mark from the 1950s . 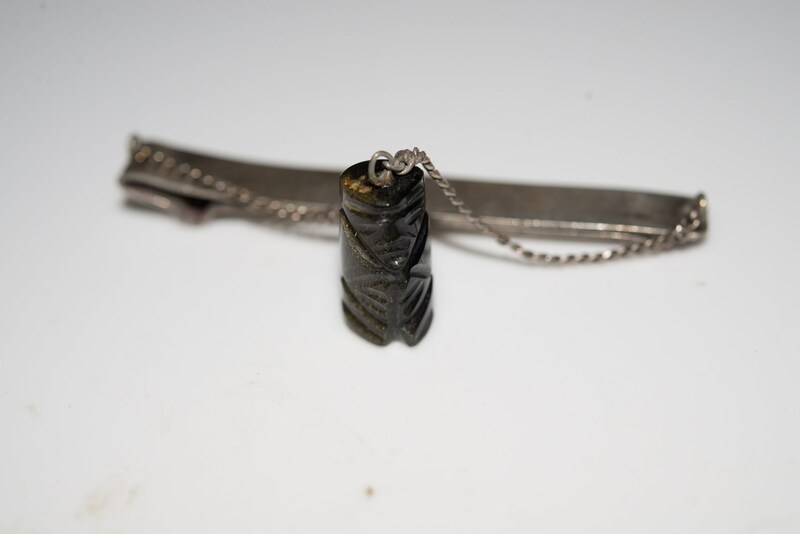 The little figure is a tiger eye type of stone, hard to see in pictures. The whole thing needs cleaning it is as found.